Described by The Strad as presenting “a masterclass in unanimity of musical purpose, in which severity could melt seamlessly into charm, and drama into geniality”, the Carducci Quartet is recognised as one of today’s most successful string quartets. 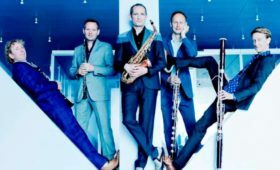 Performing over 90 concerts worldwide each year the quartet also run their own recording label Carducci Classics, an annual festival in Highnam, Gloucester and in September will curate their first Carducci Festival in Castagneto-Carducci. Winners of international competitions, including the Concert Artists Guild International Competition 2007 and Finland’s Kuhmo International Chamber Music Competition, the Anglo-Irish quartet has appeared at prestigious venues across the globe including the Wigmore Hall, London; National Concert Hall, Dublin; Tivoli Concert Hall, Copenhagen; Carnegie Hall, New York and Library of Congress and John F Kennedy Center, Washington D.C. Festival appearances include Cheltenham Music Festival; Festival Messiaen au pays Meije; West Cork Chamber Music festival; Kuhmo Festival; and the Wratislavia Cantans Festival in Poland. This season the quartet will collaborate with guitarist Craig Ogden as well as oboist Nicholas Daniel and will join forces with the Palazzetto de Bru Zane, Venice to present lesser known French romantic repertoire across Europe. Further to this 2015 will see the quartet present the complete catalogue of Shostakovich’s String Quartets across a number of cycles in Europe and North and South America. The project will be accompanied by a recording of quartet no. 4, 8 and 11. Highly celebrated for their interpretation of contemporary repertoire, the Carducci Quartet is regularly invited to premiere new works. Recent highlights include a String Quartet by Huw Watkins and Alexander Raskatov’s Monks Music. 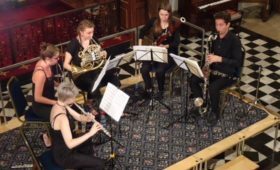 Last year saw the release of two recordings: Into the Ravine with Nicholas Daniel – their debut release for Signum Classics – featuring British works premiered by the ensemble, and the above mentioned Monks Music, listed as one of the top five classical recordings of 2013 by the Irish Times. The quartet has also received wide critical acclaim for recordings on their own record label and their catalogue features two world premiere recordings presenting 20th century works by G. Whettam (“recording of the month” MusicWeb International) and J. Horovitz (“beautifully crafted works…excellent performances”, BBC Music Magazine). They have also recorded Vivaldi and Piazzolla with the Katona Twins Guitar Duo for Channel Classics, as well as Philip Glass for Naxos. 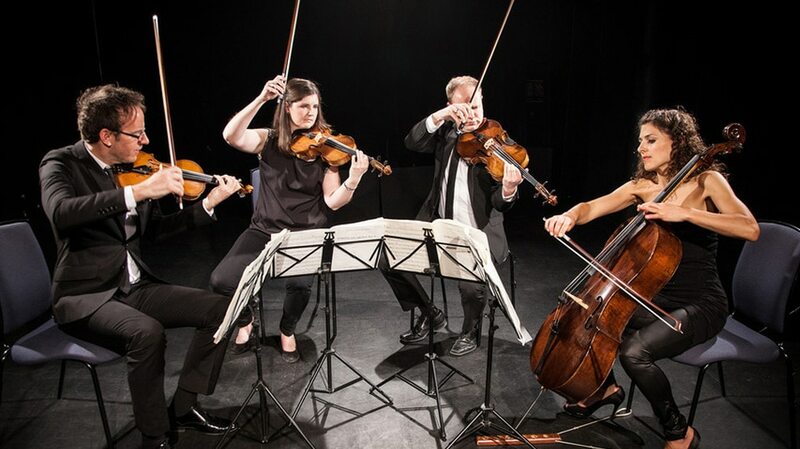 In 2011, the Carducci Quartet was nominated for a Royal Philharmonic Society Award for their family concert “Getting the Quartet Bug!” Educational work remains important to the quartet who set up the Carducci Music Trust, to support their work in schools. 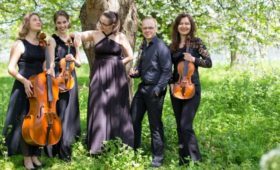 The quartet also runs chamber music courses for young musicians in the UK, France and Ireland, and regularly coach on the National Youth String Quartet Weekend. He teaches viola and chamber music at the Royal College of Music and is co-director of the North Norfolk Music Festival.